Can you believe that there are some houses in my neighbourhood that are already decorated for Christmas? Crazy! Nowadays it takes me a while to get into the Christmas spirit, some years I never manage it at all but I find that reading some Christmas themed books usually helps. This year I’ve only got two such books to read, I might have to resort to the library for some more. 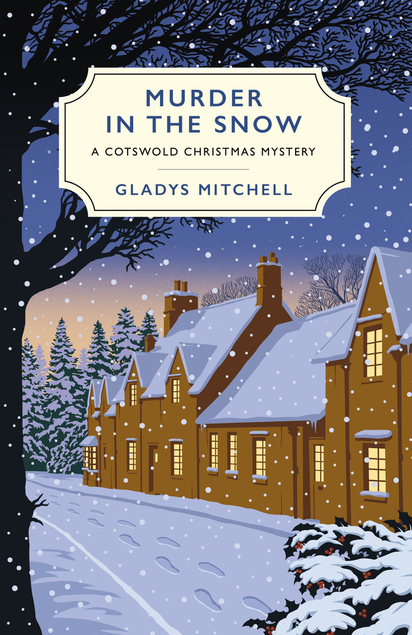 Anyway for me murder mysteries and Christmas go together like fish and chips so I’m giving Gladys Mitchell another go. I’ve read quite a few of her books in the past but I’m not really enamoured of her detective – Mrs Bradley. The mystery to me is why she made her detective so unlikeable. I’ll be reading her Murder in the Snow which was first published in 1950 and has an attractive Christmasy cover. I have read The Necklace of Pearls, the Dorothy Sayers short story, before and wasn’t all that impressed with it. I hope the others are better. 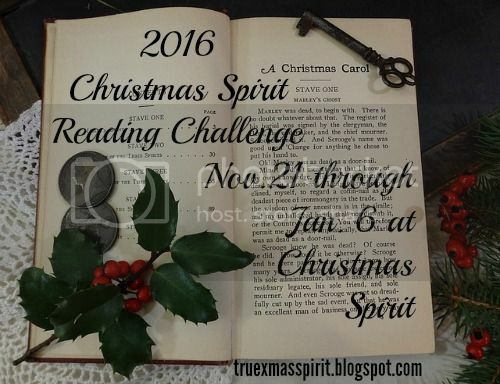 This year I’ve decided to join in with the Christmas Spirit Reading Challenge for the first time. It was Judith at Reader in the Wilderness who got me interested in this challenge and the upshot of that is that we are both reading Winter Solstice by Rosamunde Pilcher, it’s a chunkster of course. But I know that Joan at Planet Joan reads A Child’s Christmas in Wales by Dylan Thomas, so I intend to read that this year too. I don’t actually have a copy of that one but it can be read online here. It looks like a very quick read indeed. Murder Under the Christmas Tree which features short stories by Ian Rankin, Dorothy L. Sayers, Margery Allingham, Arthur Conan Doyle, Val McDermid, Ellis Peters and More. A Darcy Christmas – A holiday tribute to Jane Austen by Amanda Grange, Sharon Lathen and Carolyn Eberhart. I’ve never heard of any of those authors so it’s a bit of a pig in a poke. Otherwise I’m thinking about maybe reading a Debbie Macomber book. I’ve never read anything by her but she seems to have written a lot of Christmassy books and I know that Jo at The Book Jotter has enjoyed some Macomber books. If that lot doesn’t get me into the Christmas spirit there’s no hope for me!